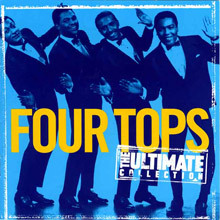 The Four Tops! The name rings clear and true, forever synonymous with the golden era of Motown and, in particular, with a half-dozen of the most transcendent tracks ever made. One of them, ‘Reach Out I’ll Be There,’ towered above its time, exemplifying the innovation, musicianship and soul that was at the core of Berry Gordy’s company at 2648 West Grand Boulevard, Detroit. “Levi was the greatest interpreter of songs I’ve ever heard,” said Motown Records founder Berry Gordy Jr., paying tribute upon Stubbs’ passing on October 17, 2008. “He was the lead singer of the greatest and most loving group, the Four Tops. I remember when we heard their first Motown release, ‘Baby I Need Your Loving.’ Levi’s voice exploded in the room and went straight for our hearts. We all knew it was a hit, hands down.” The auditorium vibrates, the night explodes. Four men bound to the centre of the stage, powered by the locomotive force of a song. Instantly, the same combustion propels 2,000 people to their feet, singing, shouting, exulting: You’re sweet/As a honey bee/But as a honey bee stings/You’ve gone and left my heart in pain. For a moment, the four Americans on stage seem shocked by the reaction. This crowd knows every syllable, every line, every inflection. This is evangelical. This is England? From some corner of the Saville Theatre, the night’s impresario must have smiled. Just three years earlier, he saw other British theatres shaken to their foundations by a group of musicians. His name was Brian Epstein, the Beatles’ manager, who also owned the Saville. But this extraordinary evening in London – Sunday, 13th November, 1966 – belonged to a fab four from Detroit, not Liverpool: Levi Stubbs Jr., Lawrence Payton, Abdul “Duke” Fakir, Renaldo “Obie” Benson. “Their harmony in song was the best there is. Their harmony in life was even better.” Motown founder Berry Gordy Jr. 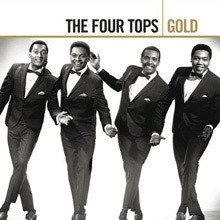 Throughout their career, the Four Tops stood for other virtues: loyalty, fellowship, integrity, longevity. Popular music, travelling at the speed of light, is short on those qualities. Yet they can be attained; the Four Tops were proof. The Tops were not harnessed to transient trends, nor were they teenagers, unlike so many of the artists first developed under Gordy. Indeed, when they cut ‘Baby I Need Your Loving’ for his company in May 1964, Levi was 27, Duke was 28. At that point, the quartet had been together for ten years, and had recorded for Chess, Riverside and Columbia. Ironically, when the Tops did join Motown, some style-watchers were alarmed to hear that Gordy had brought in a group which had already spent so long on the road, travelling with MOR singer Billy Eckstine, playing the borscht belt, crooning in cabanas. This type of woodshedding was near-heresy to fans hypnotised by the youth, vitality and freshness of the Miracles, the Marvelettes and Mary Wells. To them, the Tops’ journeyman credentials were no recommendation. As Gordy acknowledged, the revelation began with ‘Baby I Need Your Loving.’ Together with the Supremes ‘Where Did Our Love Go’, it put the world on notice that this was a new Motown: stronger, bolder, more sophisticated than before. It hinted that Stubbs’ voice was a powerful weapon, even if he and studio alchemists Eddie Holland, Lamont Dozier and Brian Holland weren’t yet fully aware of its capabilities. A mere two singles later, Motown A&R director Mickey Stevenson, producing the Tops with Ivy Hunter, revealed more of their talent with ‘Ask The Lonely,’ a deeply melancholic ballad. And when Holland/Dozier/Holland resumed command of the Tops with ‘I Can’t Help Myself,’ they understood how to use the foursome to maximum effect: an apocalyptic Levi, leading from the front, taking no prisoners with his baritone-to-tenor range, and Lawrence, Obie and Duke offering white-hot harmonies to release the tension forged by their lead singer. Such explosive recordings blew the charts wide open, at home and abroad. Boom! 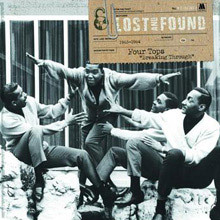 Twelve of the group’s singles seized Top Twenty chart slots in the US from 1964-68, and ‘Reach Out I’ll Be There,’ of course, reigned above all. Today, it’s a piece of history, found in the Grammy Hall of Fame and the Rock & Roll Hall of Fame. 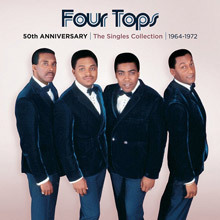 The Tops’ albums commanded attention, too: Four Tops and Four Tops’ Second Album (both 1965), On Top and Live! (both ’66), and Reach Out (1967). 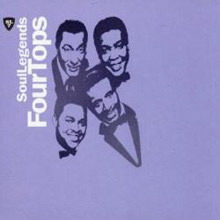 They returned to cabaret roots with On Broadway, another 1967 release, as was Four Tops’ Greatest Hits. Little wonder that the last of these was their most popular, a Top Five chartrider in America and Motown’s first-ever No. 1 album in the UK. Britons took the Tops to their hearts in various ways, and their concert tours were standing-room-only mayhem. Motown’s UK team also knew when to be bold, lifting ‘Walk Away Renee’ as a single from the Reach Out LP (it became a huge hit, leading to release in America) and doing the same with ‘Do What You Gotta Do’ from 1969’s Four Tops Now! In 1971, British producer Tony Clarke cut ‘Simple Game’ in London with the group; naturally, it soared into the Top Three there. 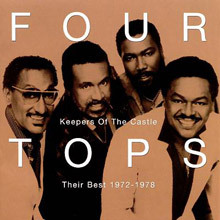 Undeterred by Holland/Dozier/Holland’s exit from Motown, the Tops subsequently worked with other producers. One inspiration put them together with the post-Diana Ross Supremes, for three boisterous LPs: The Magnificent Seven, Return Of The Magnificent Seven, and Dynamite. Another partnership teamed them with writer/producer Frank Wilson to create a memorable concept album, 1969’s Still Waters Run Deep. 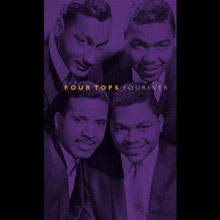 “Marvin Gaye told me that it was the album that inspired the direction of What’s Going On,” Wilson informed writer Stu Hackel in notes for the Four Tops’ definitive anthology, Fourever. No reason for doubt: Renaldo Benson co-wrote three of the songs on Gaye’s masterwork, including the title track. The 1980s brought an even better result. ‘When She Was My Girl’ for Casablanca Records was an R&B No. 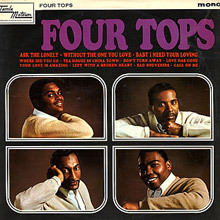 1 – the Tops’ first since ‘Reach Out’ and a high-rider on the pop listings. Its producer, David Wolfert, said, “They were an absolute blast. It’s funny, when you’re a producer and arranger, you make your living telling people what to do. 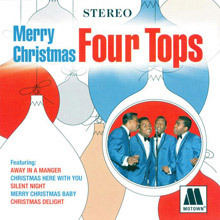 With the Tops, it was kind of daunting.” Stubbs was his idol, Wolfert explained, and there he was, telling the vocalist how to phrase a song, how to sing it. 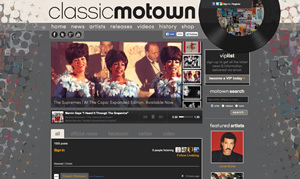 The quartet recorded again for Motown. ‘I Just Can’t Walk Away,’ one of the songs on 1983’s Back Where I Belong, could have been about themselves, and the same could also be said of their last US Top Forty contender (on Arista Records), ‘Indestructible,’ in 1988. That same year yielded them a UK Top Ten success with ‘Loco in Acapulco,’ penned and produced by Lamont Dozier and Phil Collins. 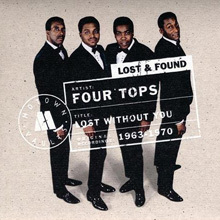 The Four Tops’ 43 years together came to an end with Lawrence Payton’s passing in 1997. Some years earlier, one of the most telling tributes had come from England, where red-blooded allegiance to the Tops ran deep and constant, ever since the Saville Theatre show. Political rocker Billy Bragg, of all people, used the ultimate metaphor in the lyrics of his song, ‘Levi Stubbs’ Tears.’ A stark, jagged sonnet, it tells how Tops’ records threw a lifeline to an isolated soul, trapped by life’s unfairness: When the world falls apart, some things stay in place/Levi Stubbs’ tears run down his face.